Our modern cultural narrative consists in the struggle between religion vs. science or faith vs. reason. We analyze the nature of belief, how closely held beliefs can hinder or even attack reason, and how belief is the supporting structure of all rational activity in the world. We look at the historic Catholic approach to faith and reason, denouncing as unbiblical the ideologies of both fideism and rationalism. 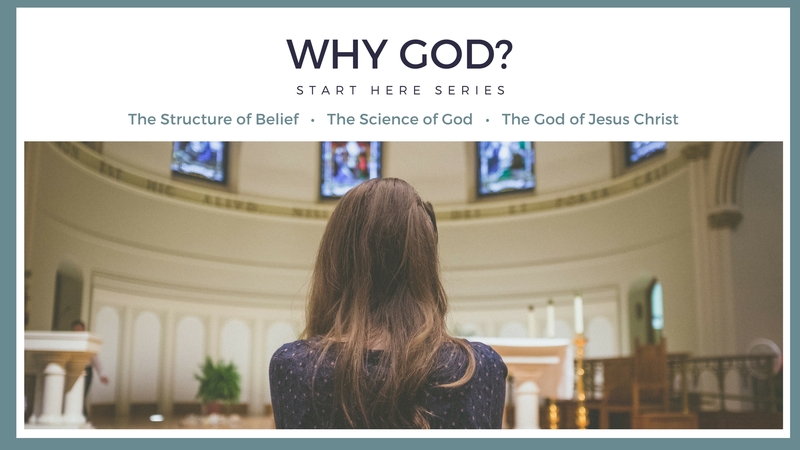 The Start Here Series is for adults who want an adult-level faith. Maybe you sat in class at your parish as a kid and learned your faith. Or maybe you were just bored and didn’t learn anything. Who cares? You’re an adult now and you need an adult’s understanding for your faith. That’s what the Start Here Series is all about. Each class is for adults, taught at an adult level. The content, however, is for beginners just starting out. We presuppose no knowledge of Christian theology, doctrine, or practice. Each session is 1 hour long, with Q&A following. There are 3 sessions per topic. There is no cost for this series. Skeptics are welcome!